When you want excellent print quality, our premium offset printing is the answer! Our attention to detail and focus on getting your offset job printed to your specs is of paramount importance to us. To complement our offset printing we offer prepress services plus a wide variety of bindery services that enable us to handle virtually any offset printing project. Choose to have your project coated with either a high gloss UV coating, a matte aqueous coating or leave your cards completely uncoated. In addition to having a standard, well-priced turnaround time for every premium offset printing option, most printed products have a rush option to meet critical deadlines. 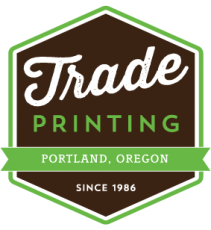 Letterpress printing is a traditional form of relief printing that recently has come back into fashion. For a classic feel and finish that is sure to make your project stand out, letterpress printing is the way to go. offset printing makes larger orders more affordable. By choosing from a variety of paper stocks, such as linen or even plastic, Offset printing can add dimension and texture to your document. We can help guide you in the right direction, to help communicate your message with a lasting impression. The quality and color consistency provided by offset printing are unmatched, creating a product without streaks or spots. Increase the style quotient with specialty inks such as Pantone®, metallic or fluorescent inks and combine with the ability to spot-varnish for a bold, exciting product that will stand out from the competition. As the number of copies increases, the cost per copy decreases, meaning you get more for your marketing dollar.